Get in touch with our polite and kind customer support associates right now. 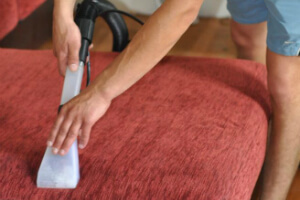 Ask for more details about our careful and detailed upholstery and sofa cleaning process. Make an request for free right right now! Just apply this phone number 020 3746 5234 at any convenient for you time! We will be happy to arrange our hassle-free service when possible for you. Meet RA Sofa Clean, the company with more than 10 years of rich experience in the field of luxury, commercial and domestic sofa and upholstery cleaning and with more than ten thousands of new happy clients per year. We are happy to note that most of our clients come to us upon recommendations by other satisfied customers. Every feedback left about our work is important and moves us forwards. 96% of the feedback we receive is positive. It is, of course, thanks to the professional teams of diligent and talented upholstery and sofa cleaners North Ockendon RM14 that work for us. They are all well-trained, insured, educated and gifted in what they do. Why don’t you just drop with the unnecessary efforts to deal with the upholstery stains on your own! Better get in touch with our premium North Ockendon RM14 sofa and upholstery cleaning company right now. Use this phone number 020 3746 5234 for direct reservations today!